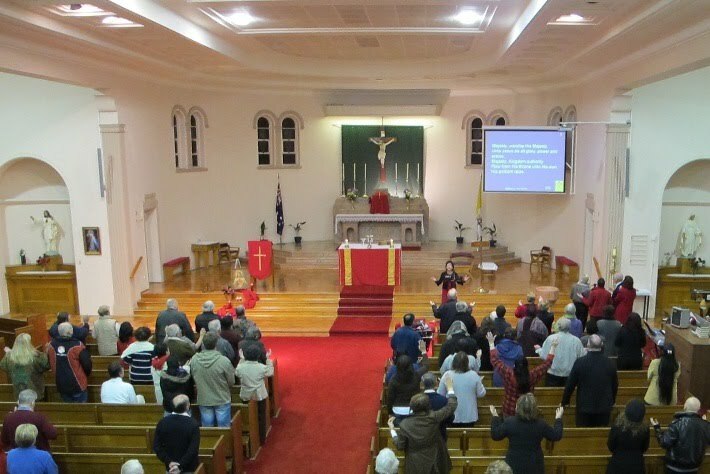 We are a Catholic Charismatic prayer group affiliated to the Catholic Charismatic Renewal (CCR) in Melbourne (www.ccr.org.au). Sacré Coeur prayer community meets every Friday night at 8 p.m., except for the annual break in the December - January holidays (usually a week before Christmas to the fourth week of January: dates will be posted on this site). On every first Friday of every month, we have a healing mass at 8 p.m. except the first Friday in September when we have a celebration mass for our anniversary. Mass is held in St Anthony's Church in Glen Huntly. On all other Friday nights, we have our prayer meetings at the Waratah Room which is attached to St Anthony's Church Hall (164 Neerim Rd, Glen Huntly). Limited parking is available beside the driveway.